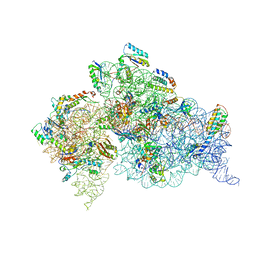 Authors: Dunham, C.M., Selmer, M., Phelps, S.S., Kelley, A.C., Suzuki, T., Joseph, S., Ramakrishnan, V.
Cite: Structures of tRNAs with an expanded anticodon loop in the decoding center of the 30S ribosomal subunit. CRYSTAL STRUCTURE OF AN EXTENDED TRNA ANTICODON STEM LOOP IN COMPLEX WITH ITS COGNATE MRNA UCGU IN THE CONTEXT OF THE THERMUS THERMOPHILUS 30S SUBUNIT. 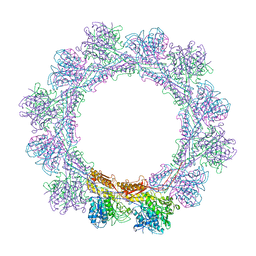 CRYSTAL STRUCTURE OF AN EXTENDED TRNA ANTICODON STEM LOOP IN COMPLEX WITH ITS COGNATE MRNA CGGG IN THE CONTEXT OF THE THERMUS THERMOPHILUS 30S SUBUNIT. Authors: Demirci, H., Murphy IV, F., Belardinelli, R., Kelley, A.C., Ramakrishnan, V., Gregory, S.T., Dahlberg, A.E., Jogl, G.
Cite: Modification of 16S ribosomal RNA by the KsgA methyltransferase restructures the 30S subunit to optimize ribosome function. CRYSTAL STRUCTURE OF THE WHOLE RIBOSOMAL COMPLEX. 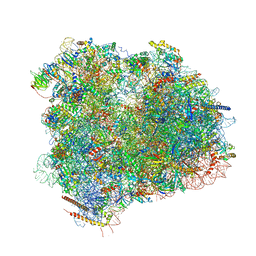 Authors: Petry, S., Brodersen, D.E., Murphy IV, F.V., Dunham, C.M., Selmer, M., Tarry, M.J., Kelley, A.C., Ramakrishnan, V.
Cite: Crystal Structures of the Ribosome in Complex with Release Factors RF1 and RF2 Bound to a Cognate Stop Codon. CRYSTAL STRUCTURE OF THE WHOLE RIBOSOMAL COMPLEX WITH A STOP CODON IN THE A-SITE. 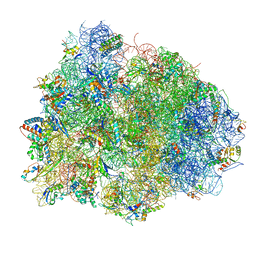 Authors: Selmer, M., Dunham, C.M., Murphy, F.V., Weixlbaumer, A., Petry, S., Weir, J.R., Kelley, A.C., Ramakrishnan, V.
Cite: Structure of the 70S ribosome complexed with mRNA and tRNA. 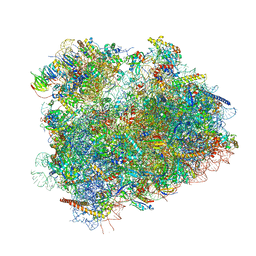 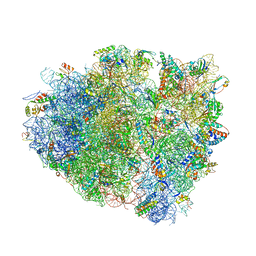 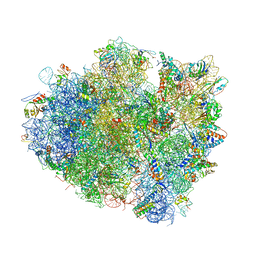 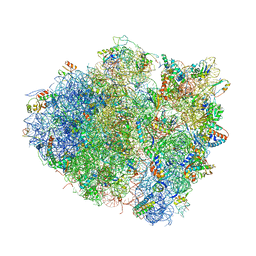 Authors: Weixlbaumer, A., Petry, S., Dunham, C.M., Selmer, M., Kelley, A.C., Ramakrishnan, V.
Cite: Crystal structure of the ribosome recycling factor bound to the ribosome. 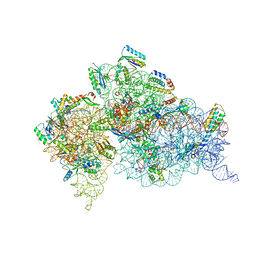 STRUCTURE OF THE THERMUS THERMOPHILUS 70S RIBOSOME IN COMPLEX WITH MRNA, PAROMOMYCIN, ACYLATED A-SITE TRNA, DEACYLATED P-SITE TRNA, AND E-SITE TRNA. 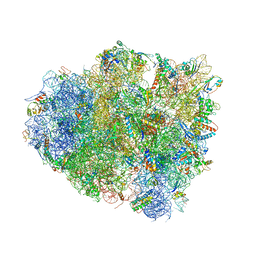 Authors: Voorhees, R.M., Weixlbaumer, A., Loakes, D., Kelley, A.C., Ramakrishnan, V.
Cite: Insights into substrate stabilization from snapshots of the peptidyl transferase center of the intact 70S ribosome. 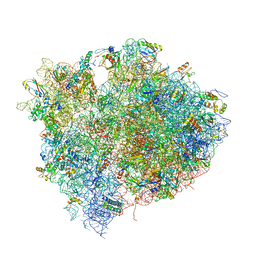 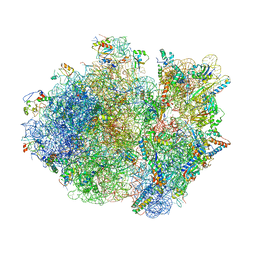 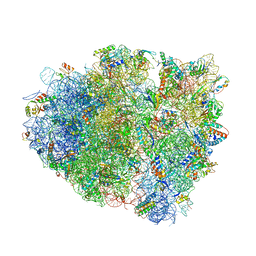 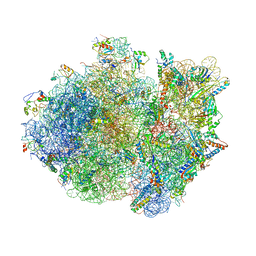 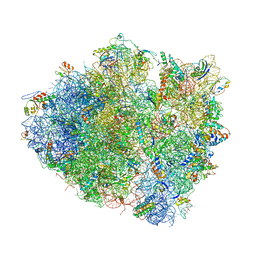 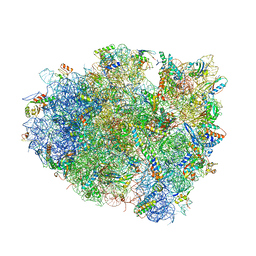 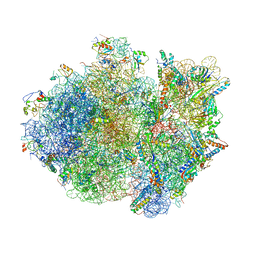 Authors: Gao, Y.-G., Selmer, M., Dunham, C.M., Weixlbaumer, A., Kelley, A.C., Ramakrishnan, V.
Cite: The structure of the ribosome with elongation factor G trapped in the posttranslocational state. Authors: Neubauer, C., Gao, Y.-G., Andersen, K.R., Dunham, C.M., Kelley, A.C., Hentschel, J., Gerdes, K., Ramakrishnan, V., Brodersen, D.E. Cite: The structural basis for mRNA recognition and cleavage by the ribosome-dependent endonuclease RelE. 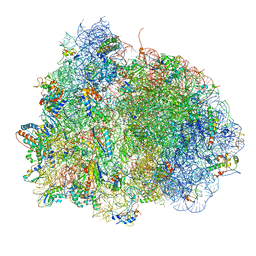 Authors: Neubauer, C., Gillet, R., Kelley, A.C., Ramakrishnan, V.
Cite: Decoding in the absence of a codon by tmRNA and SmpB in the ribosome.